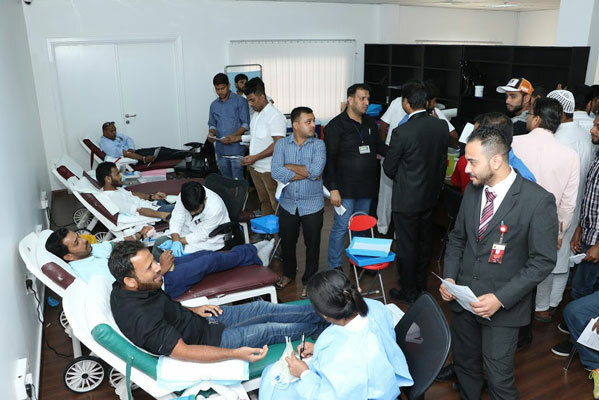 Hundreds of people thronged Thumbay Hospital Dubai on Friday, 23rd December 2016, to participate in the Blood Donation Camp and Free Health Checkup program organized by the hospital in association with Bearys Cultural Forum (BCF). The noble cause was arranged as part of Thumbay Group’s continuing CSR drive and BCF’s charity initiatives. 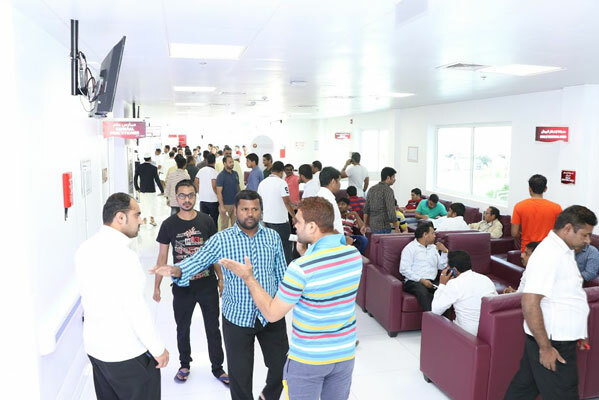 All visitors to the health checkup camp and blood donation camp were provided free consultation and checkup by the specialist doctors of Thumbay Hospital Dubai. They were offered special discounts on total knee replacement package, hip replacement package, maternity package, antenatal package, dental package, mammography test, etc. Participants were also offered Umrah vaccination at a specially discounted price, which can be availed within a year. Participants of the blood donation camp and health checkup were issued Thumbay Hospital privilege cards valid upto 31st December 2017, which would entitle the card-holders to special discounts at Thumbay hospitals and clinics across the UAE. Blood donors at the camp were awarded certificates of appreciation, in addition to Dubai Health Authority’s ‘Donor’s Card’. 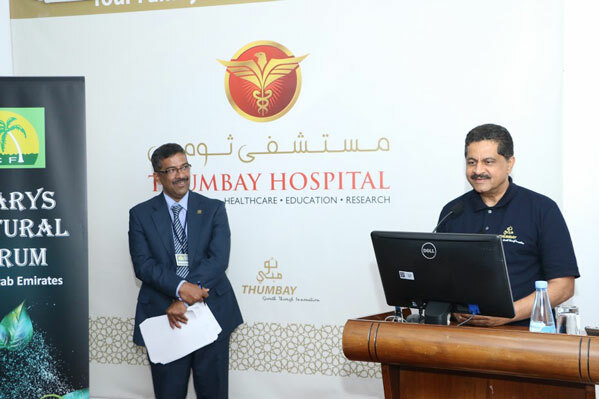 The event also had a talk on “Better Living: Infection Prevention and Air-borne Precautions in the Community” by Dr. Mahesh Kumar, Specialist – Pulmonology Department of Thumbay Hospital. 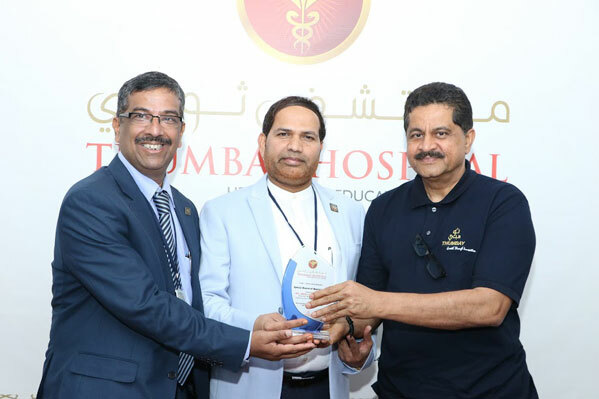 A felicitation function was held on the sidelines of the event, which honored Mr. Thumbay Moideen, Founder President of Thumbay Group and Mr. Akbar Moideen Thumbay, Vice President of the healthcare division of Thumbay Group, for their contributions to the healthcare industry and commitment to public health. BCF office-bearers felicitated at the function included Dr. B.K. Yusuf – President, Mr. Abdul Lathif Mulky – Chairman of the Medical Camp Organising Committee and Dr. Kaup Mohamed – Hon. General Secretary.